This week Access All Areas members can sample an extremely useful icon pack from Vic Bell. 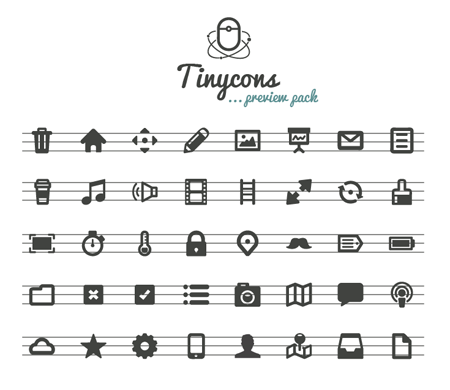 The Tinycons pack is a set of infinitely scaleable vector icons, featuring all the visual metaphors you regularly need when designing web apps and interfaces. The pack contains 40 useful vector icons, including symbols for photos, audio and video; as well as icons for home, settings and mail; not to forget the ever popular moustache icon! I need traffic on my website, my site is a business site and also providing mobile money services to create wealth, anyone can visit this and write any comment. this is the site, http://www.mattyventuresonline.blogspot.com.